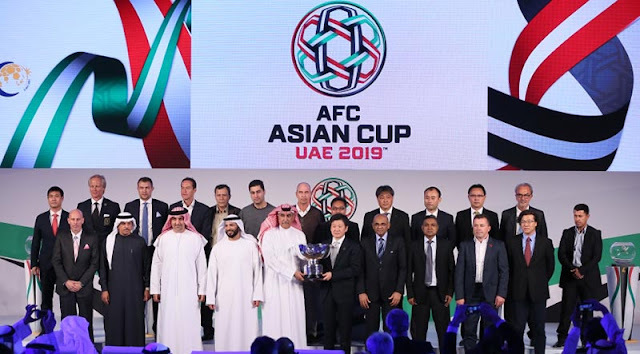 Last week, we published an article in regards to permutations of next month's draw for the 2019 AFC Asian Cup. At the time, it seemed the PFA had made a wise decision not to list its friendly against Bahrain in FIFA's record. Based on that information, Palestine stood a good chance of climbing into Pot 1 and avoiding Asian heavyweights Iran, Japan, Australia, and Korea Republic. So how are these things calculated- and how exactly does Palestine stand to lose so much from one meaningless friendly? To calculate points from a given match FIFA uses this formula and procedure as outline on its website. For the April Ranking, two results from last year will be devalued (the wins against Maldives and Yemen) by a factor of 50%, and Palestine's loss and win against Timor Leste and UAE will only be weighted at 30%- as opposed to 50%. Palestine will then have its March results averaged with results from the last 12 months. That total along with totals from 2016, 2015, and 2014 are added up for the total amount of points. The Bahrain friendly will end up hurting Palestine because Palestine's current average point total over the last 12 months is 309.28. A win against Bahrain will only garner 188.70 points. As a result, Palestine's total average points are brought down. In fact, friendlies tend to have a negative effect on a nation's FIFA ranking. For example, if Palestine's friendlies against Yemen and Bahrain last year were stricken from the record, Palestine would be ranked 66th (as opposed to 73rd) and would have seen them climb above Saudi Arabia in next month's FIFA ranking (to fifth place in Asia). Now Palestine must beat Bahrain and Oman and hope for results to go their way elsewhere. In the event Al-Fida'i collect two wins their point total will be ~502. Attention will then turn to the Far East, in the hopes that China fails to record two friendly wins. Saudi Arabia could still overtake Palestine with positive results in their friendlies against Belgium and Ukraine. It is still unclear what the Saudi Federation will do in regards to these games- as it stands they need a win and a draw to overtake Palestine. They could also overtake Palestine by listing the easier of the two friendlies (vs. Ukraine) and winning it. The previous worst case scenario for Palestine would have still seen them slot into Pot 2 for the draw. Now, should Palestine lose both matches they will fall out of Pot 2 and into Pot 3. With so much to lose and so little to gain, the decision to play this friendly is a curious one. That said, Palestine can still game the system- they can de-list the friendly or play 7 substitutes and invalidate the official nature of the friendly.